So since I was writing about the Bryant family home recently, it made me go back and review what I knew about my great grandfather Frank Bryant. He was married twice in his lifetime. First, to my great grandmother Ophelia Jones. After Ophelia passed away in 1939, he remained single for a couple of years until he met and married a Sylvia Sheppard of Portsmouth, VA.
Frank and Ophelia were married in Carteret County, NC on November 4, 1911. I was able to obtain a copy of their marriage license from the North Carolina State Archives some time ago. You can view a copy of it here. I couldn't find the marriage license for Frank and Sylvia however until just now. It turns out they were married in Florida! Who knew? I made the assumption that they would have been married in either North Carolina or Virginia. Nope. It was Duval County, Florida. Source Information: Ancestry.com. 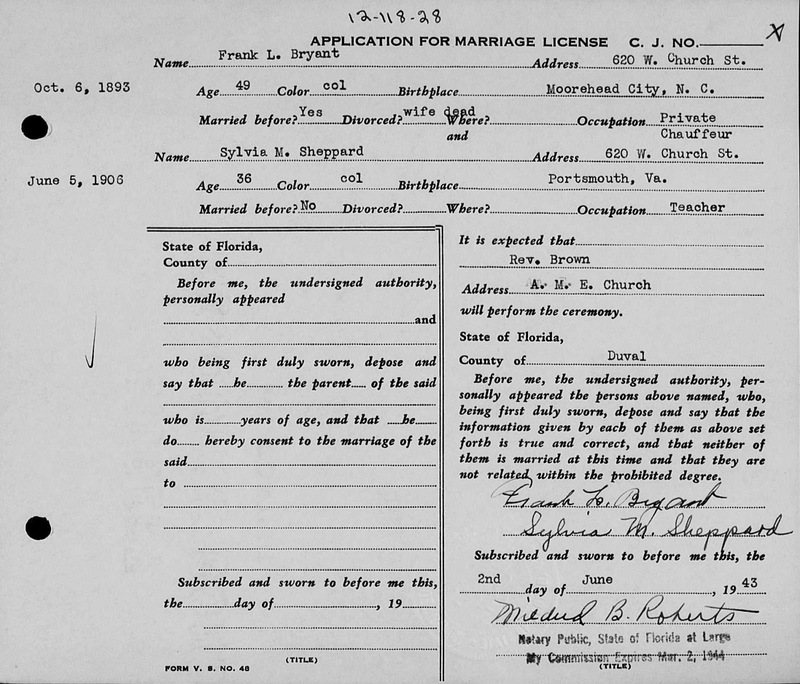 Florida Marriage Collection, 1822-1875 and 1927-2001 [database on-line]. Provo, UT, USA: Ancestry.com Operations Inc, 2006. 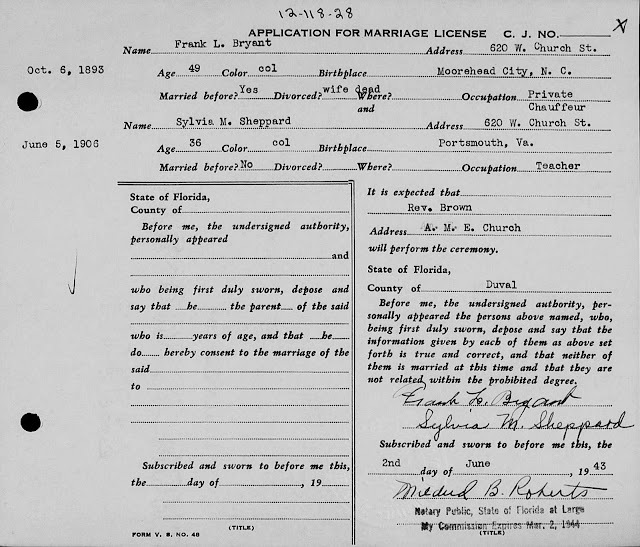 On June 2, 1943 Frank Bryant and Sylvia Sheppard were married in Jacksonville. Their residence was listed as 620 W. Church St on the marriage license. 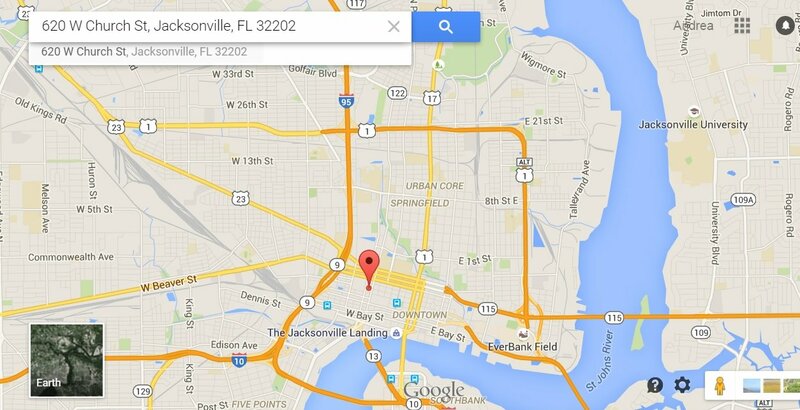 Why Jacksonville? My great grandfather worked as a chauffeur for Charles Slover Wallace. Charles S. Wallace was a prominent Morehead City businessman who built Wallace Fisheries. He was at one time mayor of Morehead as well. You can read more about him here. In 1943, it just so happens that Charles Wallace was residing in Jacksonville, Florida according to a city directory from that year. 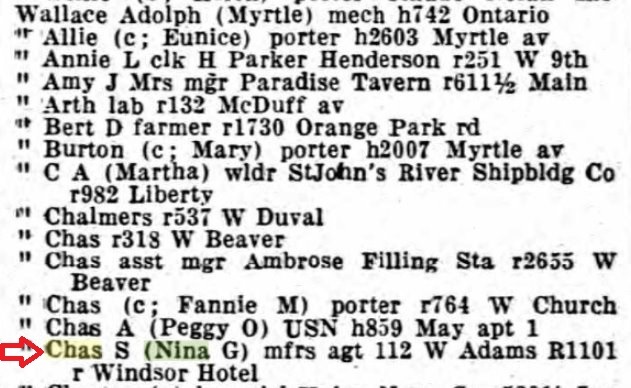 Charles and his wife Nina were residing at the Windsor Hotel in Jacksonville. The Windsor Hotel was considered one of Jacksonville's most premier hotels during the early part of the twentieth century. Now here's a map showing where my great grandfather Frank Bryant was staying in relation to Charles Wallace. Frank was a chauffeur so it would make sense that he would reside near his employer. 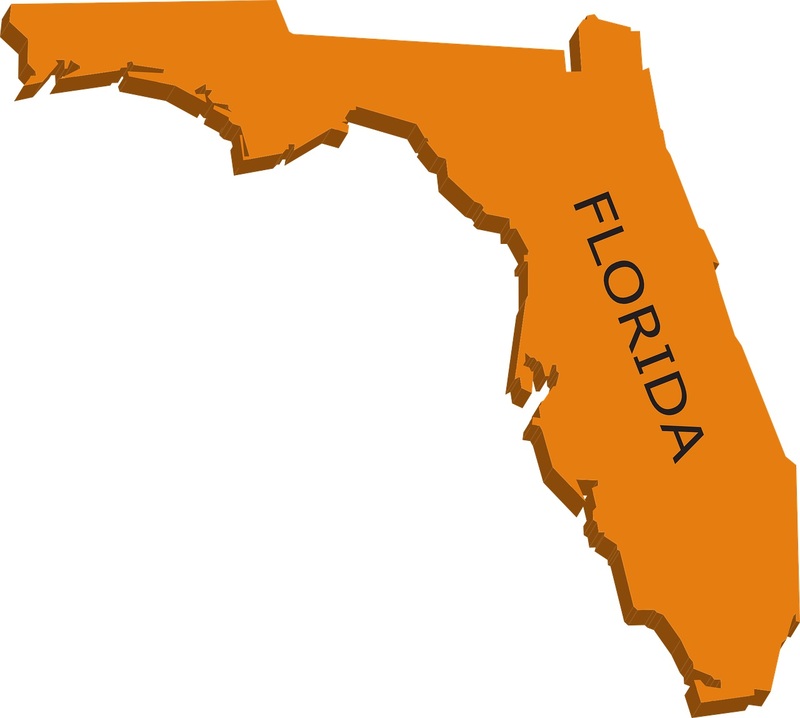 Was his wife teaching in Florida or did she come down so they could get married? It's always exciting to find our ancestors in an unexpected state. And I couldn't help noticing that this post would have been perfect for the last Sepia Saturday with the postcard of the hotel.